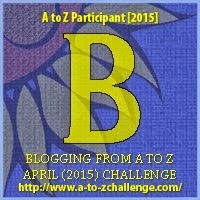 For the letter B, I had tough competition among the very funny, Bankelal, the warrior Prince, Bhokal and the naughty, Billoo but since they represent very different things, I am going to feature all these memorable characters in my today's A to Z challenge post. Bhokal is a warrior comic character created by Sanjay Gupta and published by Raj Comics. His special abilities include the power to summon the 'Bhokal-Shakti', the power of his teacher, Mahaguru Bhokal, by hailing his name in battle, shouting 'Jai Mahaguru Bhokal'. He acquires super-human physical attributes, apart from receiving the mystical Sword and Shield of his master. The Sword is capable of cutting through most of the then-known materials and elements, making it one of the greatest weapons of its time. It can also be used to emit 'Jwala-Shakti', a mystical fire from its edge, which is known to burn away almost anything in a matter of seconds. The Shield is capable of blocking any physical or supernatural attack and also allows its wielder to fly via the Shield. 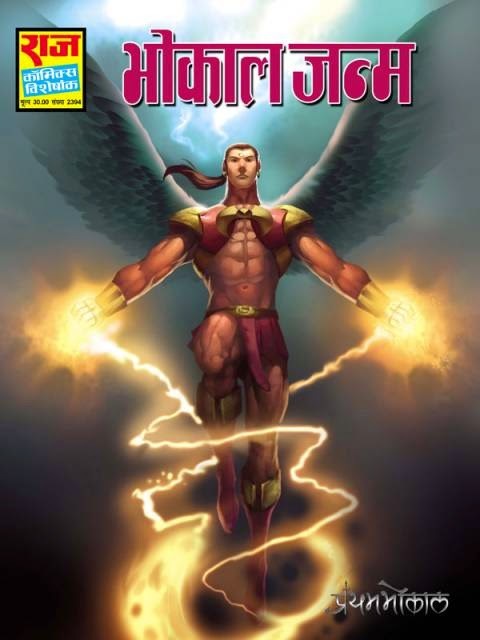 Bhokal is one of the most successful comic characters in India. He is an ancient warrior prince who descended on earth as an angel, went to a city named Vikasnagar and became a zealous defender of the interests of the place. His comics are must read for all those who like their heroes to be sword wielding Princes and fairy-tale romances. Bhokal is not only a great warrior but is also quite the ladies man. I loved reading his comics in my teen years when I was very impressed by the different fighting techniques, super hero powers and dreamed of jumping over rooftops like spiderman, weilding a sword like Bhokal, having an alter ego like Super Commando Dhruv and fighting like Jackie Chan! Bankelal is a funny comics character created by Jitendra Bedi and published by Raj comics. He is also known as "Hasya Samrat" (King of comedy) because he makes readers laugh through his antics. He first appeared in a comics titled ‘Bankelal Ka Kamaal’. His story involves Gods, Demons and different worlds with funny names like Tataiyalok (Hornet world), Kankaallok (Skeleton world) etc. Not much of a hero, he is always making evil plans to get rid of his king, Vikram, but a curse twists the story each time. He plans for bad things to happen but ends up benefitting people in the process. He is a misplaced hero. Bankelal was a late child and his mother was a faithful devotee of Lord Shiv. It is said that Lord Shiv blessed her with Bankelal. Once Lord Shiv visited Bankelal's family with his wife Parvati. Bankelal's mother offered Lord Shiv a glass of milk, not knowing that her mischievous son had put a frog in it. Angered by this disrespect, Lord Shiv put a curse on Bankelal that if he ever tried to harm anybody, the person would be blessed with good results and some part of that would also be 'rubbed' on to Bankelal. In the comics, Bankelal always devises new evil plans to get rid of his King, Vikram and usurp his throne but due to the curse, his plans always end in benefitting the King and also making Bankelal, a hero in his eyes! I love Bankelal's mischievous mind and his backfiring tricks and plans always make me laugh. His rib tickling conversations with the King are guaranteed to lighten my mood. 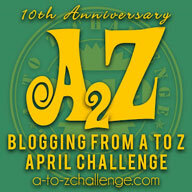 A must read for all fans of comedy with witty dialogues. The character of Billoo is created by the famous cartoonist Pran and published by Diamond Comics. 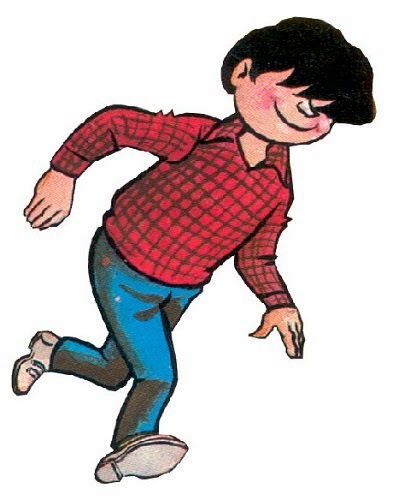 Billoo first featured in a comics in 1973 and since then has become a favourite with the comics lovers. He is a fun loving teenager, likeable by girls and his characteristic mark is his hair that covers his eyes. He has a pet pup named Moti and his gang includes Gabdu, Jozi, Monu, Bishamber among others. A cricket lover, he is often seen playing cricket and when at home is glued to TV. Although, generally popular, Billoo and his gang are at loggerheads with Bajarangi, the wrestler and his aide Dhakkan. They are always in search of some excuse to showdown each other. Jozi is friendly to Billoo, but her dad Colonel Three - not - Three does not like the boy and always points his gun at him. Come back tomorrow to checkout my favourite Indian cartoon/comics character whose name starts with C!